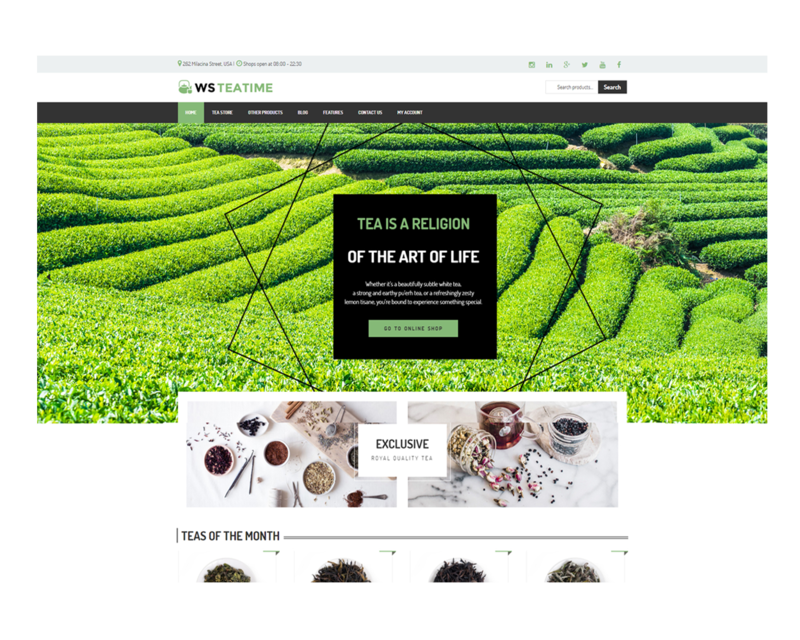 WS TeaTime is Free Tea Shop WordPress theme that’s intended to Tea/ Coffee business who want to expand their market online. 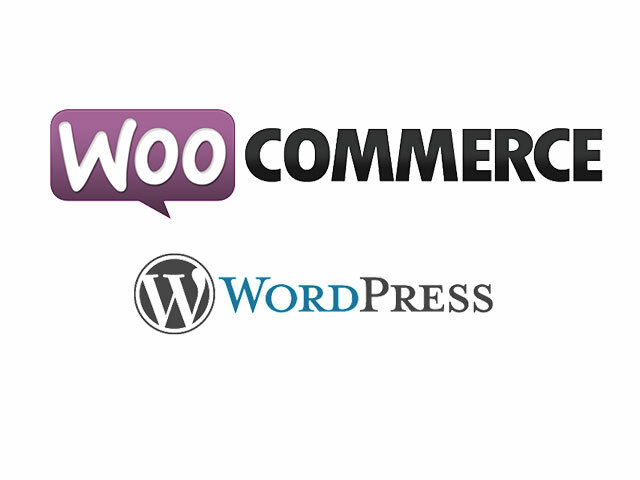 This template now took off its old coat and come back with brand new look – more modern, professional and effective. People nowadays tend to go shopping online rather than traditional shopping, due to its convenience, more and more kinds of products, or even services can be sold online, which brings huge profit to business, tea/ coffee business is not an exception. 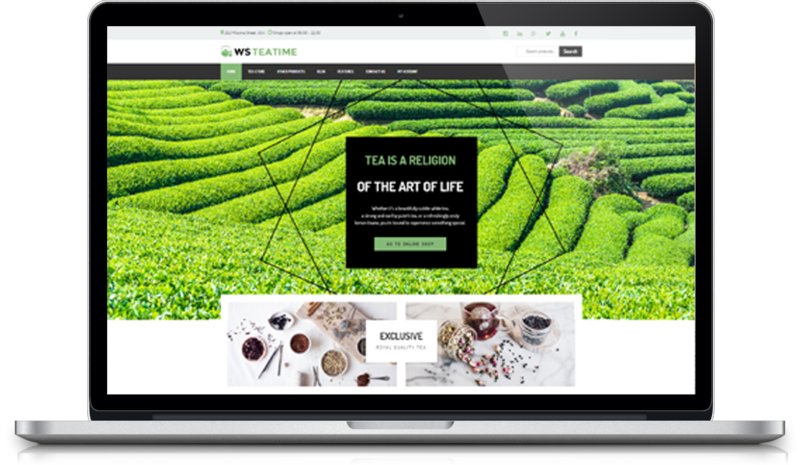 WS Teatime has been upgraded to greater version, which offers you high resolution stock photo with high quality, well arranged among each other in an eye-catching way. In addition, each product displays on webpage will be integrated with Quick Look and Add to Cart button (without changing current page then freely to continue shopping), gives your customers feel more convenient when shopping in your site. 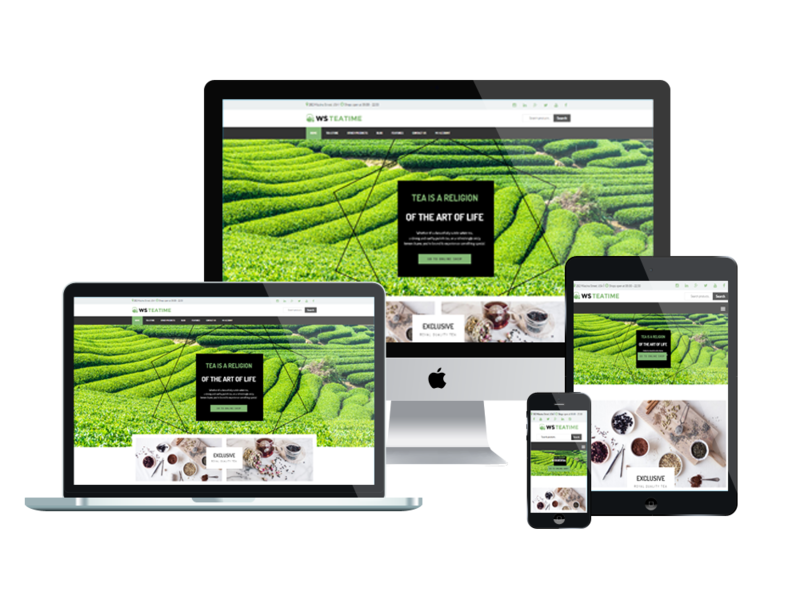 This template is not only designed for PC users, but it is also well accessed for all mobile devices with a fully responsive layout. 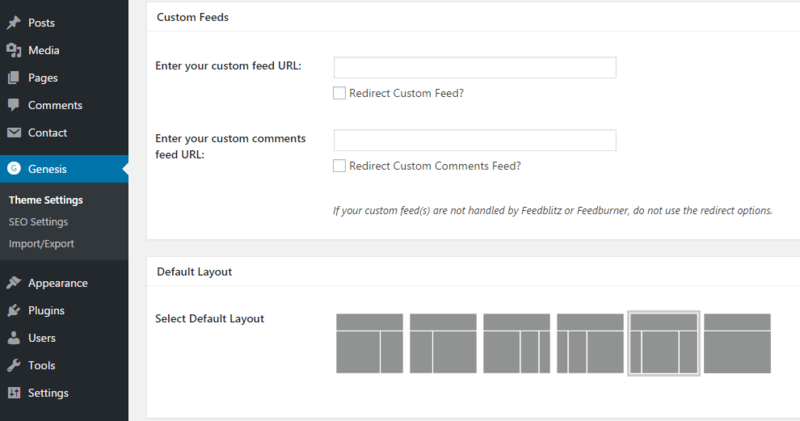 Beside its above special features, WS Teatime also provides Sorting feature, Contact with Google map integrated, subscribe button and more interesting features. 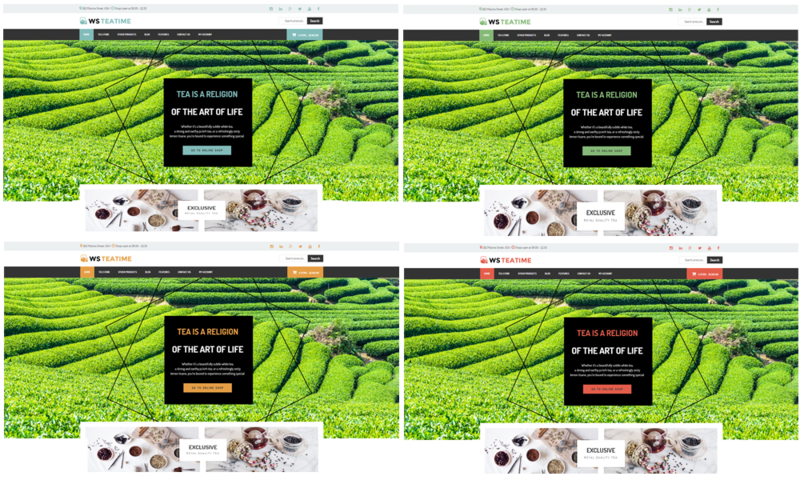 Coming with unlimited color and a color picker in the admin panel, you’re able to create a site that will be both attractive and powerful. Give it a go now!